Following dinner at Rosewood Tavern, we headed over to Playa for a nightcap. Luckily for us, bartender Davidson Fernie was on hand to make me forget the funny Old Fashioned I had at Rosewood. 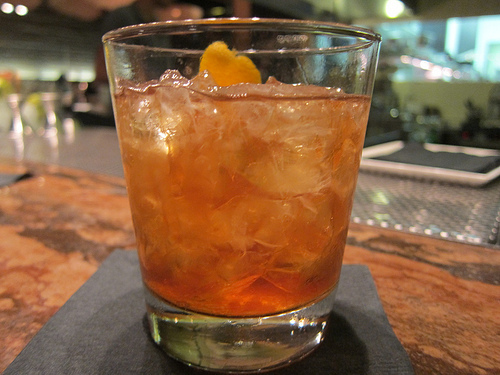 First up was a variation of an Old Fashioned, the American Trilogy. I love that Dave keeps up with a lot of East Coast and in particular NY bar recipes. The American Trilogy (Rittenhouse rye, Laird’s bonded apple brandy, demerara syrup, orange bitters, orange peel) comes from Milk & Honey in NYC. Watch a vid here. It’s acknowledged the Little Italy cocktail was created by Audrey Saunders of Pegu Club in NYC. It’s become one of my fave rye cocktails and I ordered it after the American Trilogy (ya know, to keep with the East Coast vibe).The Little Italy is Rittenhouse rye, cynar and sweet vermouth. And to round out the night, Dave made me an Isis which contained a bitters I’ve never had. 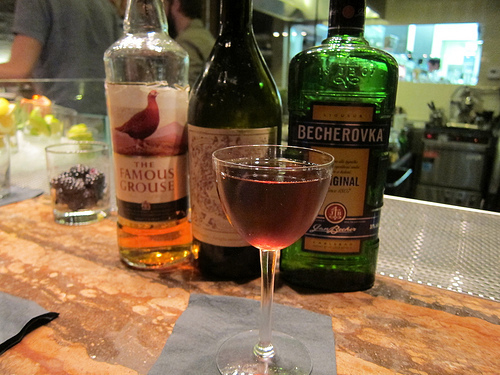 The Czech Becherovka is featured in this cocktail along with Famous Grouse and Carpano Antica. You’ll have to ask Dave the recipe as no matter how hard I googled, I could not come up with the recipe. You’ll want to taste the cocktail anyway. 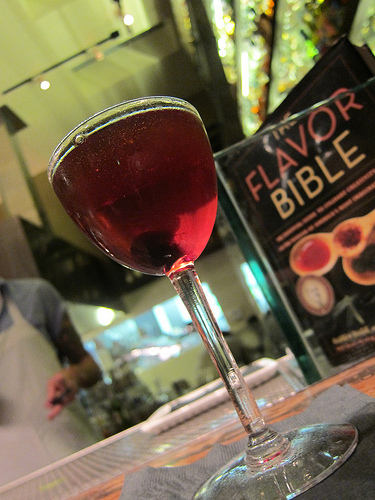 For more fun mixology from Dave, check out my bourbon cocktails post. All cocktails mixed by Davidson Fernie at Playa Rivera.